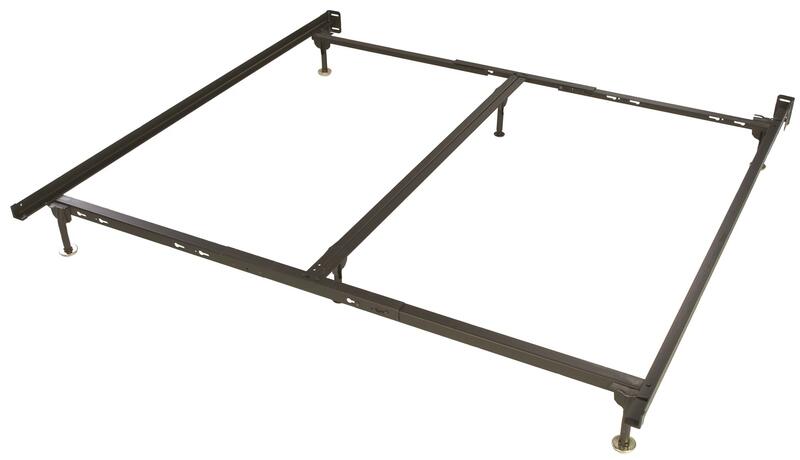 This 6 leg frame will support a queen size mattress set. If you remove the center support, it can adjust down to fit a twin or full size mattress set as well. The Advantage Standard Spin Glide 6 Leg Queen Standard Spin Glide Frame by Glideaway at Miskelly Furniture in the Jackson, Pearl, Madison, Ridgeland, Flowood Mississippi area. Product availability may vary. Contact us for the most current availability on this product. This Advantage Bed Frame Collection from Glideaway features Standard Spin Glide feet for a person seeking a frame with out rollers. Legs are attached with solid rivets for longer lasting strength. Quick and easy assembly with no tools needed. These strong steel frames come with a Lifetime Limited Warranty. The Advantage Standard Spin Glide collection is a great option if you are looking for Mattresses in the Jackson, Pearl, Madison, Ridgeland, Flowood Mississippi area.